Due to the high altitude, Nuwara Eliya has a much cooler climate than the lowlands of Sri Lanka, with a mean annual temperature of 16 °C. But the temperature changes and sometimes it can be as low as 3°C. 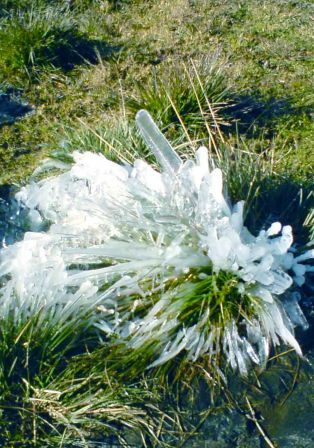 In the winter months the climate can be quite cold at night, and there can even be frost. However, the climate rapidly warms up as the tropical sun climbs higher during the day. Pictures of frost - Nuwara Eliya experienced unusual weather in early January with temperatures dropping to 2.7 Celsius at night with ground frost forming due to the sudden variation in temperature.